2. 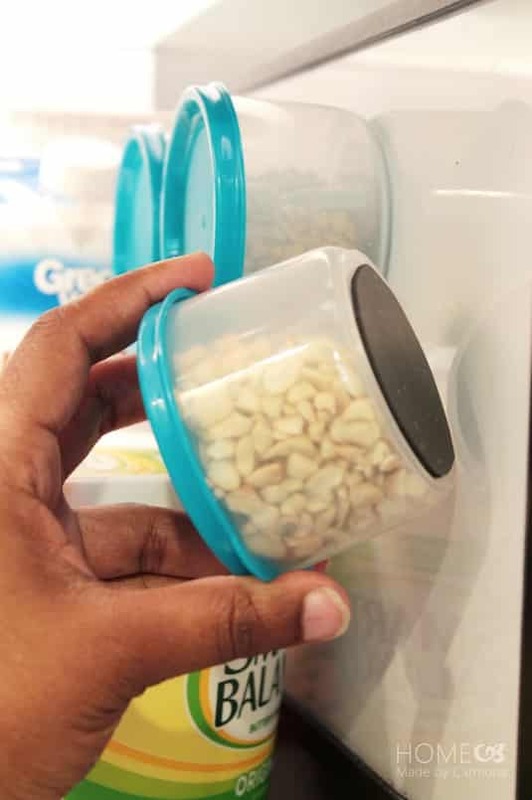 Lazy Susan in the fridge? Yes! 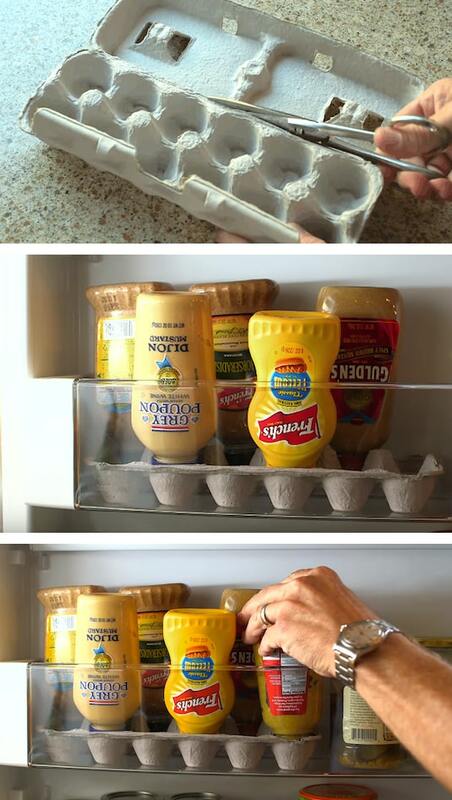 For all of those containers and jars that get lost in the back of the fridge, consider using a small lazy susan or two for easy access to all of your condiments and such. 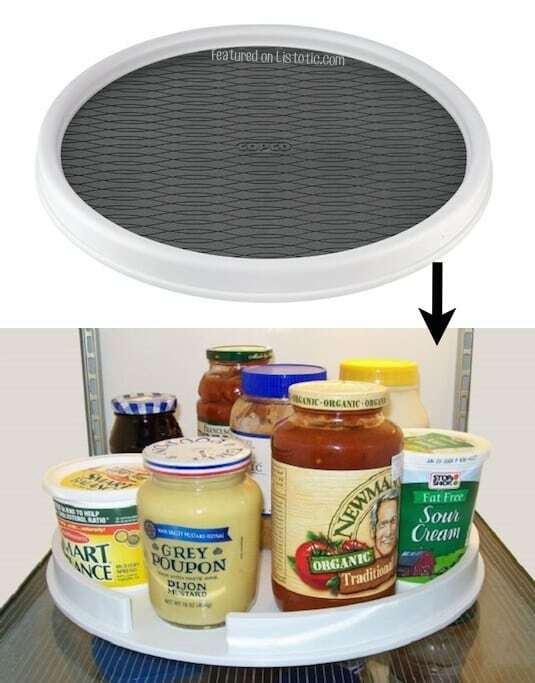 A stackable lazy susan is even better for tall shelves to help use up all of that empty air space. I have two of them in my refrigerator! I’m not really sure how I survived without them before.